¶ 2 Leave a comment on paragraph 2 0 Stamp collecting started as an obscure leisure time activity in the 1860s and 1870s, but quickly emerged as a popular and more structured pursuit by the 1880s in the US and internationally. Identifying themselves as philatelists, stamp collectors created a large community in the late nineteenth century that extended well into the twentieth through the establishment of clubs and the success of a wide-reaching philatelic press. Defining themselves as experts, these collectors wished to bring respectability to a leisure activity that they enjoyed and that others ridiculed. Clubs established the study of stamps as a serious discipline, defined by their own as scientific, and created a professionalized feeling about the hobby through club meetings and publications that mimicked academic journals. As new groups of philatelists formed and dissolved, hierarchies also emerged in the philatelic world as clubs restricted membership based on race and gender, and “philatelists” distinguished themselves from mere “collectors.” Philatelists also debated among themselves about the practices of philately, and whether it led its followers down a path of knowledge and enlightenment or a path toward materialism and greed. Philatelists formed a national network that helped to legitimize their activities, influenced businesses to pay attention to them in consumerist ways, and expanded hobby to attract a broader audience as it grew in popularity. 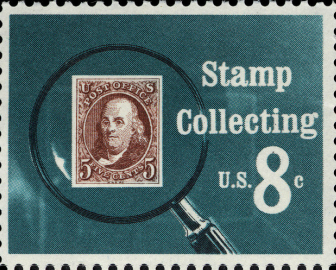 Through the process of selecting, saving, and preserving stamps, collectors and philatelists established relationships with their favorite objects. Importantly, the US Post Office Department noticed those connections by the 1890s and intentionally printing colorful stamps that told stories, historical narratives about America’s past.